Couples who are having their weddings in another state often hire me to do engagement sessions here in Southern California. 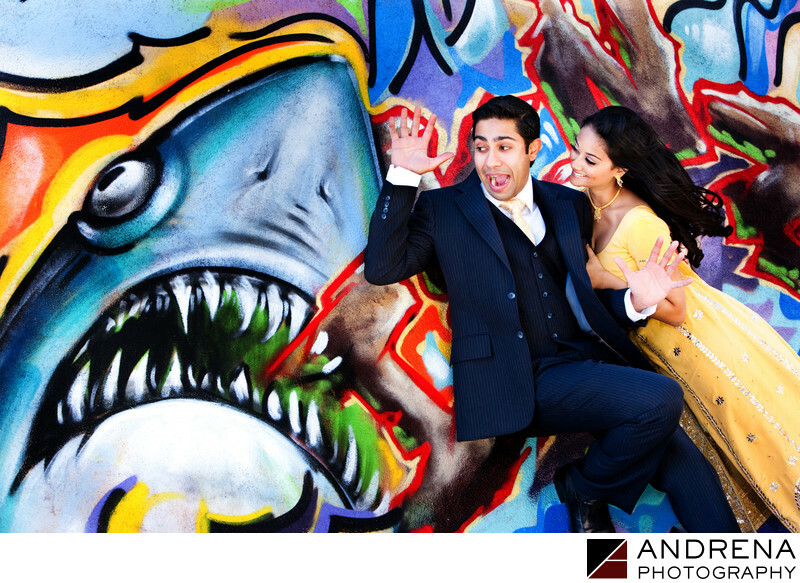 This fun shark graffiti provided a great opportunity for this cute couple to feign terror. This great artwork is no longer around, as it has been torn down. I was luckily able to create a few fun portraits for playful couples before this artwork was destroyed. Photographed in Santa Monica, California.